Cats reproduce sexually and they become sexually mature as early as 6 to 9 months old. Female cats come in heat in the months of January to September, but house cats may experience estrous cycles all year long. Cats may come in heat around three to four times per year. It is during the estrus stage of the reproductive cycle when the female cat accepts a mate. The mating may take anywhere between 30 seconds to 5 minutes and will take place six to seven times until the female rebuffs further attempts of the male to mate. Mating period can last up to four days. If mating was successful, ovulation will take place after 27 hours. 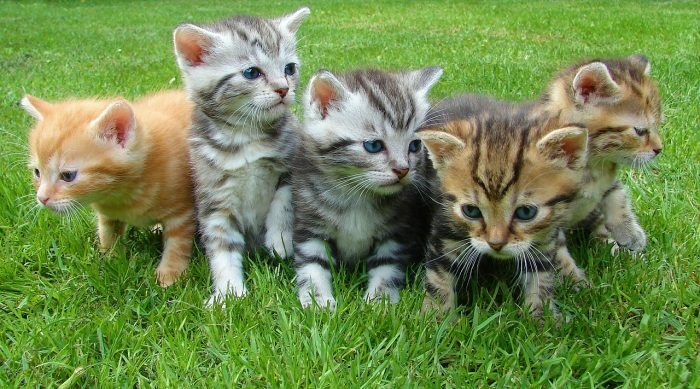 The gestation period in domestic cats lasts between 63 to 67 days before the female gives birth to a litter with three to five kittens on average.